BELLVILLE — A local landmark has been sold. 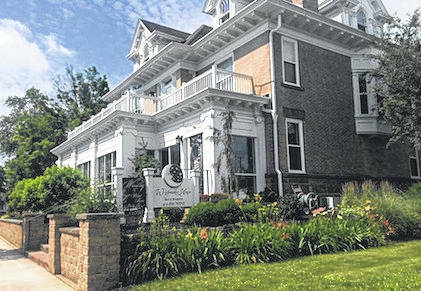 The Wishmaker House Bed & Breakfast, once chosen as the Best B&B in the state by Ohio Magazine, recently sold for $970,000 by Bradley and Karen Smith to Van Meter Investments, LLC, according to the Richland County Auditor’s Office. The house at 116 Main St. also includes a winery. It’s a fully renovated 10,000-square foot 1890s home with eight guest rooms, including one handicap accessible room and one 1,200-square foot suite. All rooms have air conditioning, TV, internet access and private baths. Several have fireplaces and balcony access. According to the facility’s website, it was sold last month. For information about Wishmaker, visit its website at https://www.wishmakerhouse.com. The Wishmaker House Bed & Breakfast in Bellville recently sold for $970,000 by Bradley and Karen Smith to Van Meter Investments, LLC.